This is the essential training in Classic Yin Yoga designed for yoga teachers and students seeking immersive self-practice and teaching skills. This 30-hour training is designed for yoga teachers and dedicated practitioners. Yin Yoga balances the nervous system, repairs joint tissues, and increases our capacity for experiencing calm and peace. A cornerstone of this approach is the study of anatomical variation and functional alignment, which applies to all forms of yoga. Each day includes a slide show presentation, interactive demonstrations, collaborative practices, and deep yin asana and meditation practices. Participants are eligible for a Yin Yoga teaching certificate and 30 Yoga Alliance CEU's provided (24 contact + 6 non-contact hours). Devi Daly (formerly Debbie Daly), ERYT-500, YACEP is a seasoned yoga teacher specializing in yin yoga. 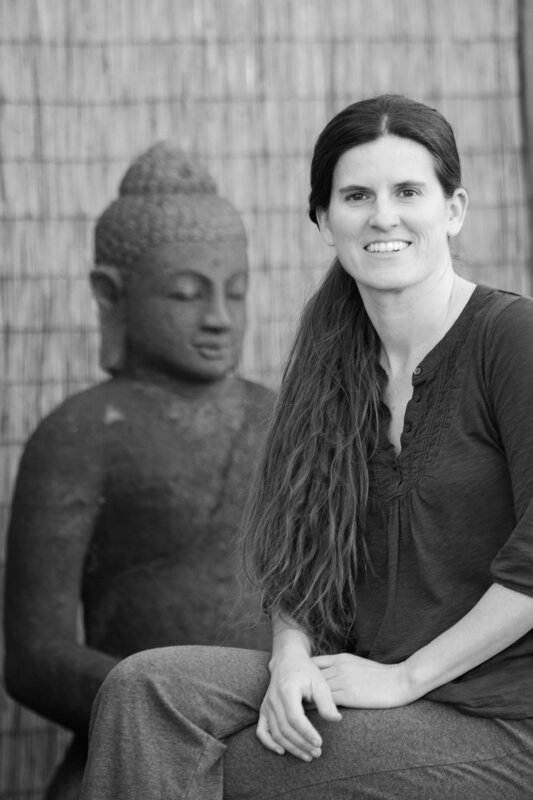 She is founder of the award-winning Tucson Yoga Studio established 2003, and she studied yin extensively with Paul Grilley. Now based in Northern California, Debbie is renowned for her expertise in teaching yin to older adults and for combining yin with healing touch, sound and voice. "Debbie is straightforward, humble, experienced, and wise. Truly one of the best yoga teacher trainings I've ever participated in. Practical, inspiring, organized." "Highly prepared, formidable teaching . . . Debbie Daly is deft at course design and implementation. The training was fun and in-depth."